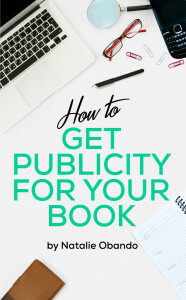 I so excited to announce that my book, How to Get Publicity for Your Book, is now available on Amazon! Thanks for stopping by the site and I hope that you find something here that you can use to help promote your book and yourself. I know more than most just how hard it is to get recognition for your book and your writing. I have helped countless authors get the spotlight and recognition that they deserve for their work. Not only does this help with sales, more importantly it helps spread your message and story. If you can help someone with your book and story it’s worth so much and is one of the most gratifying feelings that you will receive as an author. That is what I do as a publicist. I help you reach people that you normally wouldn’t be able to to connect with to share your work and your story. Although I am a professional and have been doing this for many years, I have found that authors can create and execute their own campaign. They just need guidance, education, time and patience. If you think that you can do it then you can! This is why I wrote my book. So that you can have full control over your book publicity or at least have an understanding of what your publicist is doing. 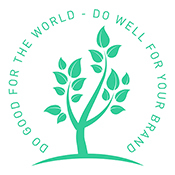 As much as I love to take on new campaigns, I don’t always have the time and even though there are many publicist that I admire and I recommend that do great work there are many take advantage of your dreams of recognition for a very high cost. How to Get Publicity for Your Book will help you garner publicity for your book without having to spend money on hiring a publicist. Do you think that you have what it takes to be your own publicist and run your own campaign? If you do, this book will show you how. After spending countless hours dedicated to garnering publicity for authors and brands all across the United States and have found that although there is no one-size-fits-all method, but there are constants. In How to Get Publicity for Your Book you will learn what they are and how to apply them to your work so that you can achieve maximum publicity for your author platform. This book will guide you how through creating the tools that you need for professional media outreach, platform building, book tour/event planning and more. I will share with you the mistakes I’ve made, the successes I’ve had, the tools of the trade and what I’ve come to learn from all of my outreach so that you can use it for your own. If you still would like to hire a publicist and think that I’m your gal then check out my services page to see what I offer and contact me when you are ready. If you have any questions, please feel free to contact me via our contact page.